Lemon Tart with Meringue Cookies is a real delight. 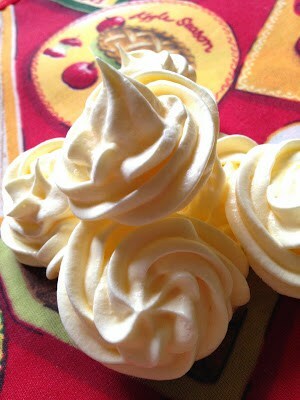 Light and lemony with delicious meringue cookies. 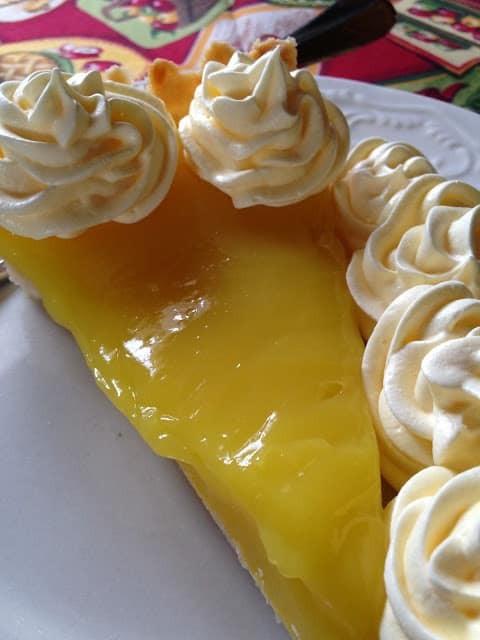 If you’re a fan of lemon you will love this lemon tart. a platter of pastel colored meringue cookies will add a festive touch to any springtime luncheon table or any Easter dinner table. Very simply, a tart is a pastry crust with shallow sides, a filling and no top crust. It’s typically made in a tart pan. The filling can be sweet, such as fruit or sweet custard, or savory like meat, cheese or savory custard. Depending on the type of tart, the pastry shell can be baked and then filled or filled and the baked. Tarts can be bite-size and served as an appetizer, individual-size sometimes called tartlets and full-size as in a dessert. Whisk together the flour, sugar, 1/2 teaspoon salt and lemon zest in a large bowl. Cut in butter with a pastry blender or your fingers, until dough starts to hold together. Stir together 1 tablespoon water and lemon extract, mix into dough. Shape dough into a disk and wrap in plastic wrap. Refrigerate for 30 minutes. Using your fingers press dough evenly into bottom and up sides of a 9-inch fluted tart pan with a removable bottom. Refrigerate for 30 minutes. Remove from refrigerator. Preheat oven to 375º Bake tart shell until golden brown, about 25 minutes. Let cool completely. Whisk together eggs, egg yolks, sugar and cornstarch in a medium saucepan. Whisk in lemon zest and juice. Cook over medium low heat, stirring constantly, until thick enough to coat the back of a wooden spoon, about 7 minutes. Remove from heat and whisk in butter, one piece at a time. Pour filling into cooled tart shell. Bake until filling is slightly puffed and set, about 30 minutes. Let cool completely. Beat egg whites in large bowl,. with electric mixer on medium speed until frothy. Add cream of tartar and a pinch of salt. Beat until soft peaks form. Increase speed to medium-high. Add sugar, 1 tablespoon at a time until sugar is dissolved and stiff peaks form. Beat in vanilla extract and food coloring if using until well blended. Transfer meringue to a pastry bag fitted with a 1/2 to 3/4 inch open star tip. Gently squeeze bag to pipe meringue onto 2 large foil lined baking sheets sprayed with a non-stick cooking spray. Bake both sheets of meringues at the same time for 45 minutes. Turn oven off. Let meringues stand in oven for 1 hour or until completely cooled. Remove from oven. Decorate the top of cooled lemon tart with meringue cookies. Cinnamon Swirl Bread is a super delicious quick bread that is perfect for any occasion. Healthy Note: Make a homemade pizza healthier by using part-skim cheeses instead of their higher fat counterparts, or use lesser amounts of sharper flavored cheese, like Parmesan. 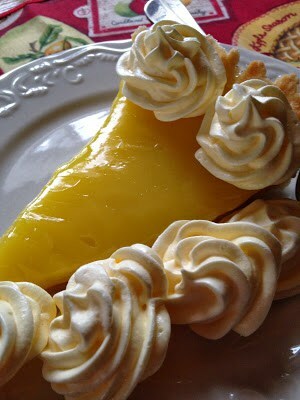 Your lemon Tart and those cookies oh my, I love that curd and the colors of your meringue, just perfect for spring! Thanks so much for sharing your recipe with Full Plate Thursday and hope you have a great week. Good day, Lynn. 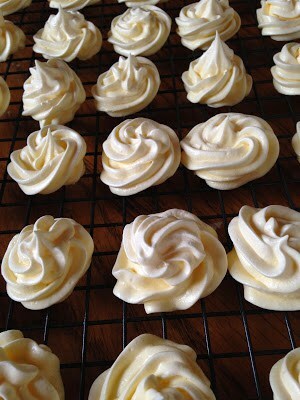 Your lemon curd and meringue cookies looks absolutely delish. How I wish I can have a slice. Cheers and have a nice day. I want to make the lemon curd and eat it straight out of the bowl! It looks delish. Pinned! Good Evening Lynn, I do love a nice lemon tart and yours sounds fabulous. I also love how you have added little meringue cookies to the top of the tart…. they look so pretty. I have read a lot about Meyer lemons but I have never bought one….. I'm not sure if they are available here…. I will have to look around the market to see if I can find them. I used to have lemon trees in the garden when I lived in Cyprus and all I had to do was walk into the garden to pick one or two from the tree. Thank you for a lovely recipe, I look forward to trying it. I think decorating with meringue cookies is a clever (and pretty) idea, Lynn. They kind of have the whipped cream look, but are completely unexpected. Thank you for linking this week. Thank-you Cindy:) I hope you had a Great Birthday and had something sweet to eat!! 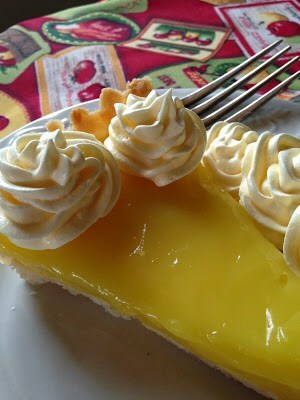 YUM, lemon tart is always a fave in our house and your meringue cookies are gorgeous! Thanks for sharing at Simple Supper Tuesday. 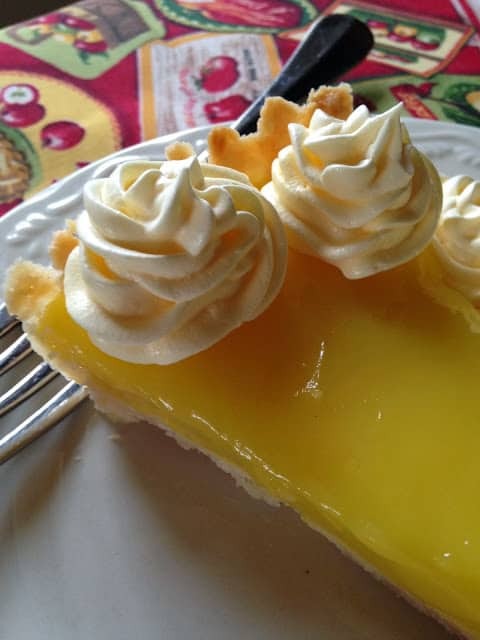 Hi Cindy~ We love Lemon in my house too~ After this long winter, this tart makes me think Spring! !